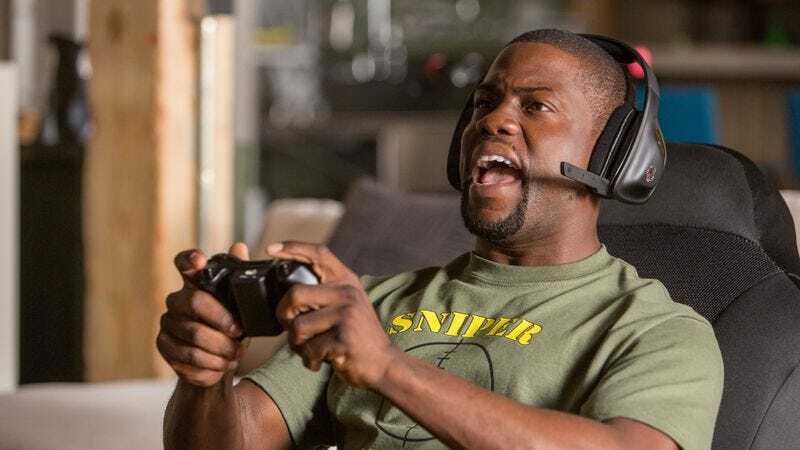 The big career boost that Kevin Hart has enjoyed lately has been primarily built on wacky comedies like Ride Along, Get Hard, and The Wedding Ringer, but things might soon be getting a little more prestigious for the guy who once played Zezelryck on Comedy Central’s Kröd Mändoon and the Flaming Sword of Fire. How prestigious are we talking? Co-starring with Bryan Cranston in a remake of a French movie prestigious. That’s about as far from The Wedding Ringer as you can get. According to Deadline, both Hart and Cranston are in talks to star in a remake of Olivier Nakache and Eric Toledano’s smash-hit 2011 French film The Intouchables, which the Weinstein Company has been trying to adapt for years. The original movie is about a rich guy who becomes paraplegic after an accident, and—as Deadline puts it—he “hires a young man from the projects to be his caregiver.” Omar Sy played the young man in the original, and he has gone on to be in some big English-language movies since then (X-Men: Days Of Future Past, Jurassic World), so maybe that means Hart will soon be a big star in France if this works out.